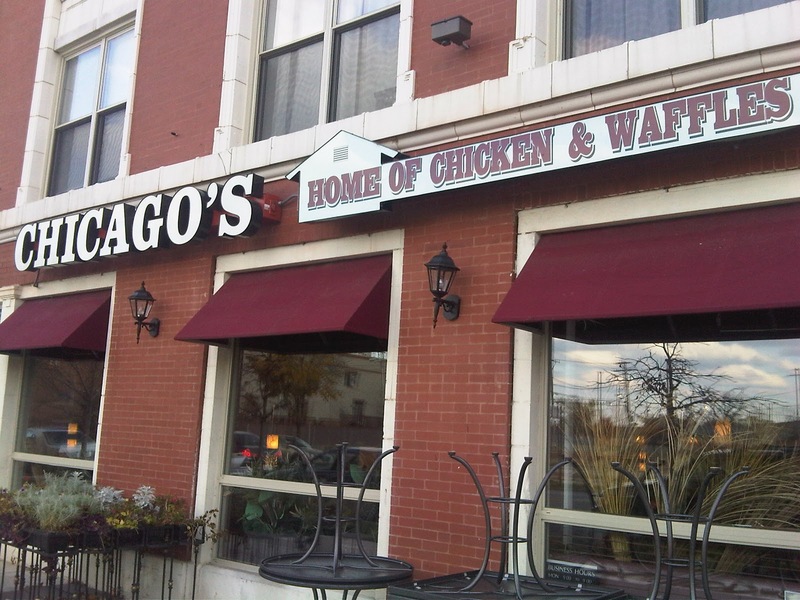 I've been craving chicken and waffles for awhile and Susan's favorite food in the world is fried chicken so it wasn't hard to convince her to drive down to Chicago's Home of Chicken and Waffles. Yup, that's the official name. It's in Bronzeville, which is on the south side of Chicago. We came here on a Sunday and the place was packed. Luckily the wait wasn't too bad. We started out with some drinks. 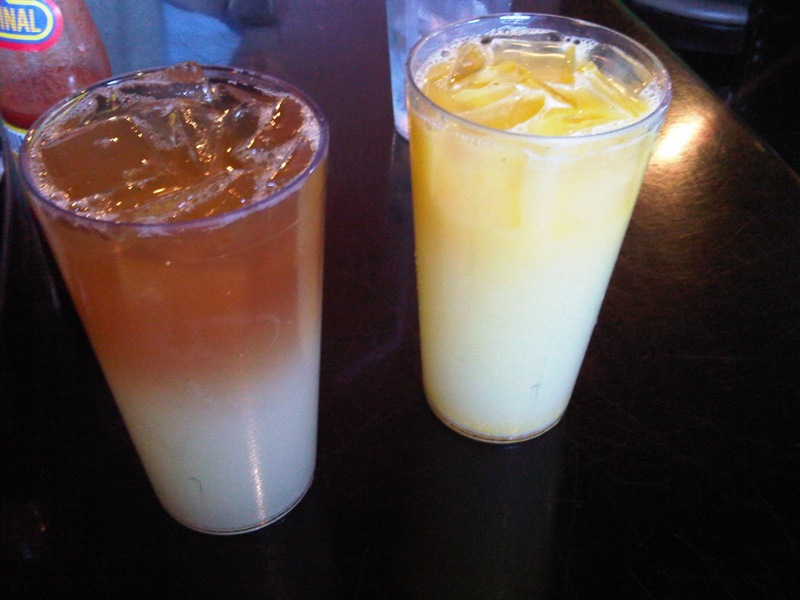 Their signature drinks are called the sunrise and sunset. Sunrise is lemonade topped off with orange juice, and a sunset is lemonade topped off with fruit punch. I got an Arnold Palmer, ice tea and lemonade, and Susan got the sunrise. I saw a lot of people order the Chicago Dream, which consisted of fruit punch, orange juice and whipped cream. I'm sure it's delicious, but it seemed like it would be way too sweet. 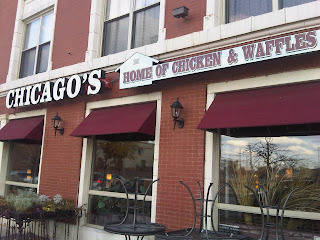 I dragged Susan here so I could eat chicken and waffles, but I ended up ordering their chicken dinner plate. I know, who eats a dinner plate for brunch. I'm a sucker for southern yams and collard greens. It was 2 pieces of chicken with corn bread and three sides. 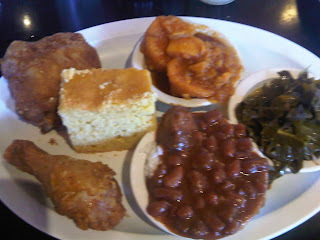 I chose red beans with rice, collard greens and yams. It did not disappoint. 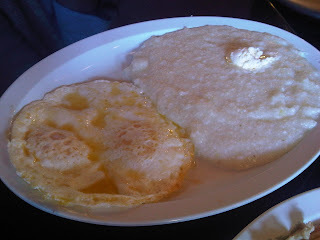 Susan got the chicken and waffle combo with eggs and grits. Here's a snapshot of her plate. Here are the sides of eggs and grits. 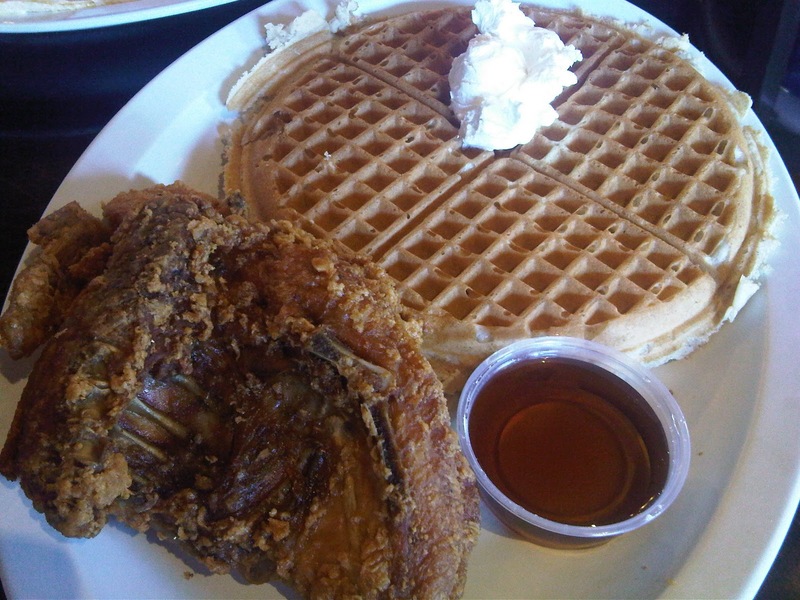 As you know I'm from LA, which is home to Roscoe's Chicken and Waffles. I have to say, this place definitely fits the void that Roscoe's has left since I moved here. The fried chicken was perfectly crisp and not greasy and I loved all the sides that I tried. My only dilemma is how will I come here and not order the chicken dinner. It's so good! Well it's been awhile since I've been to roscoe's but I'd say they are pretty darn close!